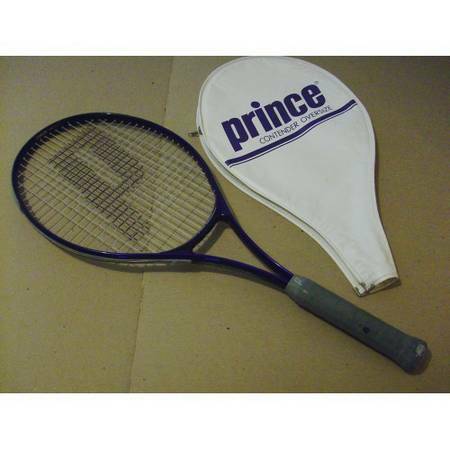 This Posting is for one used (but VERY good condition) Prince Oversize Tennis Racket. It is approx. 20% bigger than a Standard size Racket making it ideal for Beginners. It is in Excellent condition except for the Handgrip. It does have/show some signs of wear, etc. (shown in pics). I can Package & Ship this Item if desired. Leave me your Shipping-info. if that is what you would like.